This work, "Top Jump Programs", is a derivative of "﻿Dominic McGuire﻿" by Keith Allison , used under CC BY. "How To Dribble Like A Pro" is licensed under CC BY by BallTillWeFall.com. An Honest Comparison Of The Leading Jump Programs That Can Help You Dunk This Season! Most basketball players dream of the day that they will throw down their first dunk. To achieve this elusive feat you must train hard and be sure to follow very specific jump training protocols. Sure you can search the web for information and slowly learn how to jump higher to dunk but this is often a long, drawn out and inefficient process. "A quality jump program offers a convenient solution for basketball players who want to follow a proven blueprint to vertical jump success"
An increase in vertical jump height of around 8-15 inches over a period of a few months is very common and achievable with many of the best jump programs listed below. In fact, most guarantee these kind of results. All you need to bring is your motivation and a killer work ethic! We WILL SHOW YOU Everything You Need To Know About The Best jump Programs AVAILABLE! 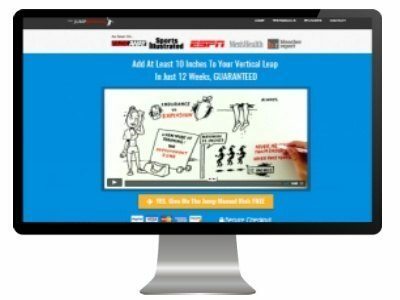 We have done our research, purchased and reviewed the most popular vertical jump programs online. Some of these were terrible and some, as you will see, are simply brilliant. 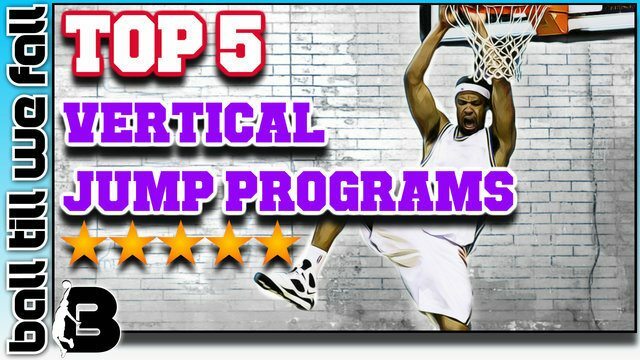 We have narrowed the initial pool of 9 programs down to what we believe to be the 5 best vertical jump programs for basketball players currently available. 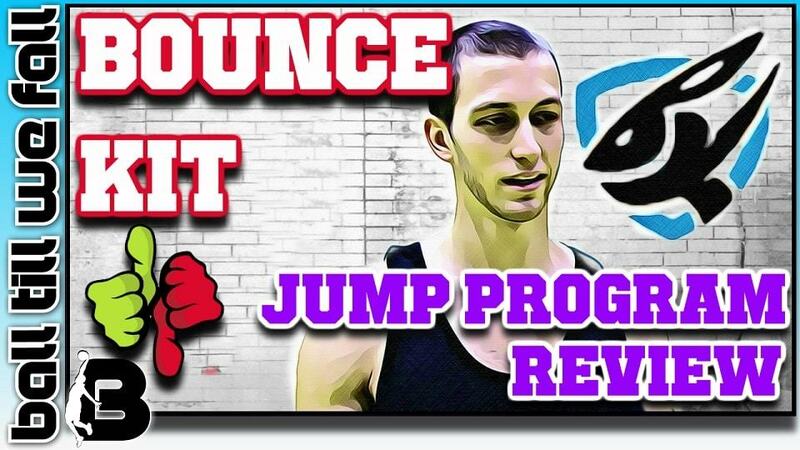 Our jump program review comparison below will highlight the pros and cons of each program. Plus we will provide a link to all of our huge individual jump program reviews so you can find out exactly what is included in a particular jump program before you invest in one. Vert shocK Vs The Jump Manual: Which One To Choose? How To Choose A Quality Jump Program? Does the jump program have a history of proven effectiveness? Is the jump program easy to understand and follow for both beginners and advanced athletes? Does the program offer post purchase support options? Does the jump program incorporate and justify the use of quality science based jump training methods? Does the jump program represent value for money when considering the contents included? These are the types of questions we asked ourselves while undertaking our reviews of the top jump programs. Take your time to read through our review summaries below. If you want any further info on any of the jump programs listed below be sure to follow the links to each programs full length review. Find THe Perfect Jump Program For You! Vert Shock is a beautifully designed and presented jump program from start to finish. This program is created by two pro's who walk the walk (or jump the jump!) when it comes to basketball specific jump training. The content quality and generous bonus resources are what separates this program from the rest. 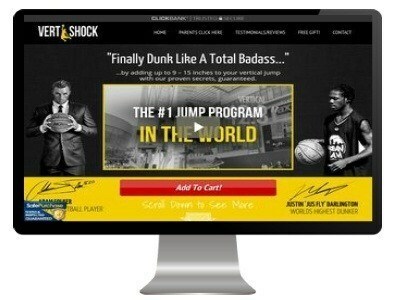 Justin Darlington "The World's Best Dunker" Is Co- Founder of Vert Shock. 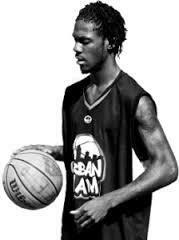 Check out some of his amazing dunks on his site! Vert Shock is purely a body weight only plyometric exercise program that is of 8 weeks duration. No gym required. (UPDATE: a new gym add-on is now available making this great vertical jump program even better!) Check out our full Vert Shock review to learn more. This 8 week program, is based on the same "shock training" methods that have been used by successful European high jumpers for years. This program is well suited to athletes of all ages and can be easily completed at home. Vert Shock is much more than just a jump program. With dietary advice and technique training included you will also become leaner and meaner all-round athlete. No need for gym membership or weight equipment. The program can be followed by anyone of any fitness level/experience. High volume of exercises may lead to overuse injuries if done in-season. The Jump Manual is the O.G of vertical jump programs. It has been over a decade since the release of the first jump manual edition. Since then the program has undergone many content updates, resulting in the very impressive packaged that you can purchase today. The Jump Manual prescription and programming methodology flat out works! Sure it takes hard work, but if you put in the effort you will be rewarded with a higher vertical jump. 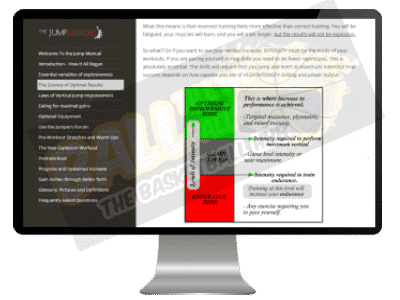 The Jump Manual is a 12 week program that incorporates both plyometrics and weightlifting, making this a great value for money option. The plyometric component in The Jump Manual is not as advanced as it is in the Vert Shock program. After trying both Vert Shock and The Jump Manual the later feels a little outdated. Vert Shock has really raised the bar for jump programs this year. Hopefully an update will be released for the Jump Manual that will challenge Vert Shock for it's #1 spot. 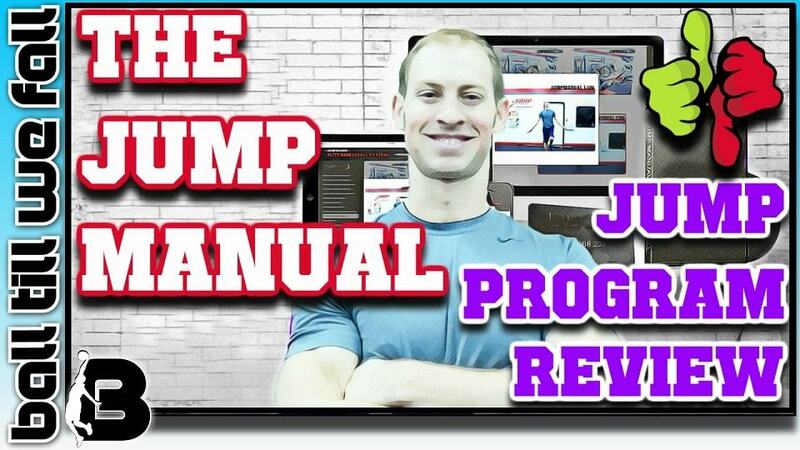 If you want a solid program that is proven to get excellent results then the Jump Manual is an excellent choice. There are many great bonus gifts that come with this jump program that are definitely worth checking out. Read our full Jump Manual review to learn more about the full contents, pros and cons of this best selling jump program. Requires more effort than advertising makes out. It is not easy! May cause significant delayed muscle soreness which could be a problem when undertaken in-season. For a better in-season option we recommend checking out Vert Shock. READ FULL JUMP MANUAL REVIEW NOW! HOW DOES VERT SHOCK COMPARE TO THE JUMP MANUAL? 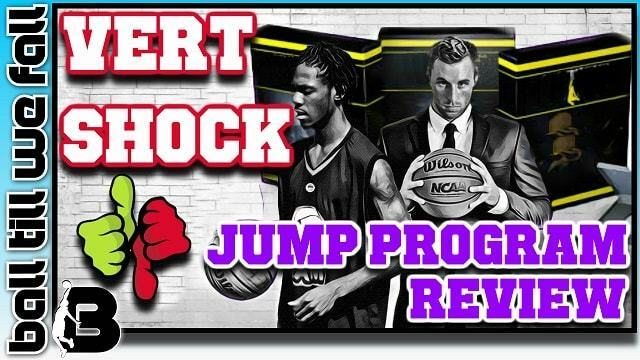 Vert Shock and The Jump Manual are by far the two best jump programs available for basketball players who want to dunk. Both have proven to be very effective. However, both go about achieving their goal in a very different manner. Some people respond better to Vert Shock style of training while others will reap greater benefits from The Jump Manual training variables. Find out which program is best suited to your individual needs in our Vert Shock Vs Jump Manual ﻿﻿C﻿omparison below. 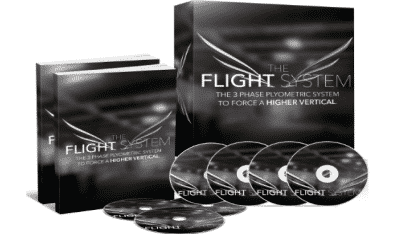 The Flight Sytem is one of the most recently released jump programs on the market. 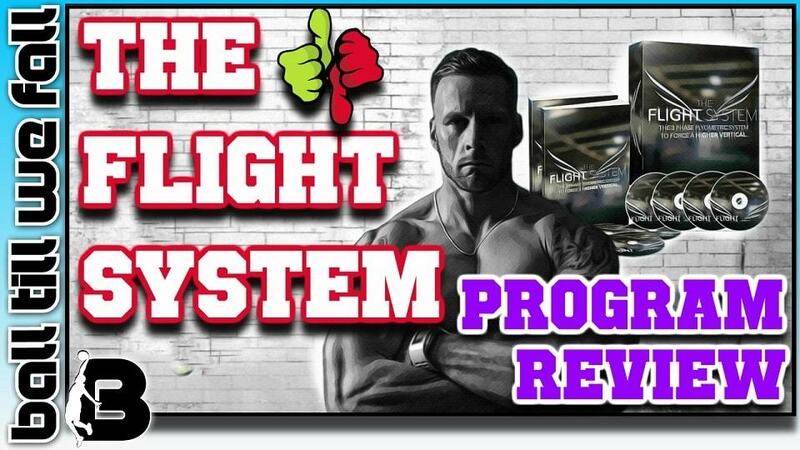 We were super excited to take a look and review The Flight System as we had already been fans of Chris Barnard's super ﻿popular strength and conditioning programs. Chris Barnard is extremely passionate about teaching others to jump higher and it shows in his jump program. He has trained himself and many pro athletes to become a more explosive version of themselves over the years. Now he shares this information with you. The methods Chris Barnard uses are quite revolutionary and much different to the other popular jump programs on the market. He uses a unique tri-phasic approach to jump training which ensures that the participant keeps adapting without plateus in performance. The Flight System incorporates both plyometrics and weightlifting. We think that the program is a little overpriced when considering that you can pick up the Jump Manual or Vert Shock for almost half the price. Unfortunately, the program lacks the basketball specificity of the top 2 vertical jump programs on this list. For us ballers who want to dunk, this can be the difference between success and failure. if you just want to become a stronger and more explosive athlete that can dominate many sports than this is a great choice for you. Nice tri-phasic strength training routine that keeps things interesting over the 3 months. Excellent overview videos and discussion on the principles behind the programs exercise selection. Complexity of movements and heavy load make this less suitable for young, inexperienced athletes. Children wanting to jump higher should consider t﻿﻿his option. READ FULL FLIGHT SYSTEM REVIEW NOW! BoingVert is made up of 2 parts. A plyometric only program (Animal) and a resistance based program (Monster). When combined the total length of the entire program is around 7 months, making this one of the most drawn out programs we have encountered. If you want vertical jump results fast you are better off choosing Vert Shock or The Jump Manual. The program contains some really great science based information. Unfortunately, the program seems unfinished and is much more difficult to follow than the top programs on this list. 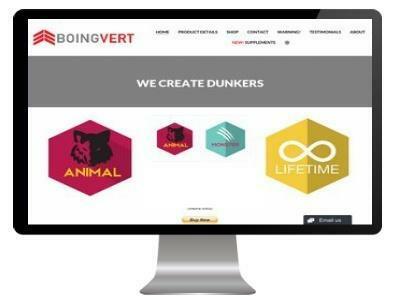 BoingVert is a little overpriced when considering that you can pick up better quality programs such as the Jump Manual or Vert Shock for much less. 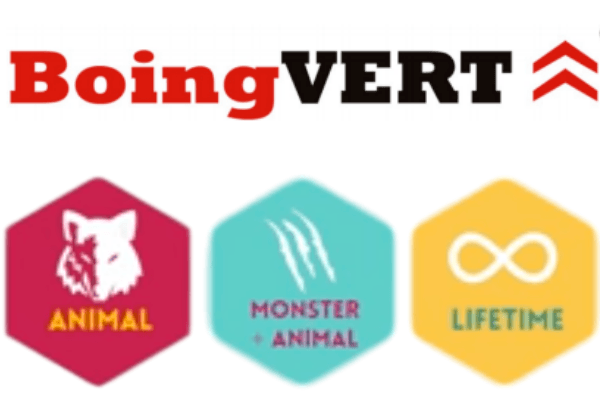 READ FULL BOINGVERT REVIEW NOW! 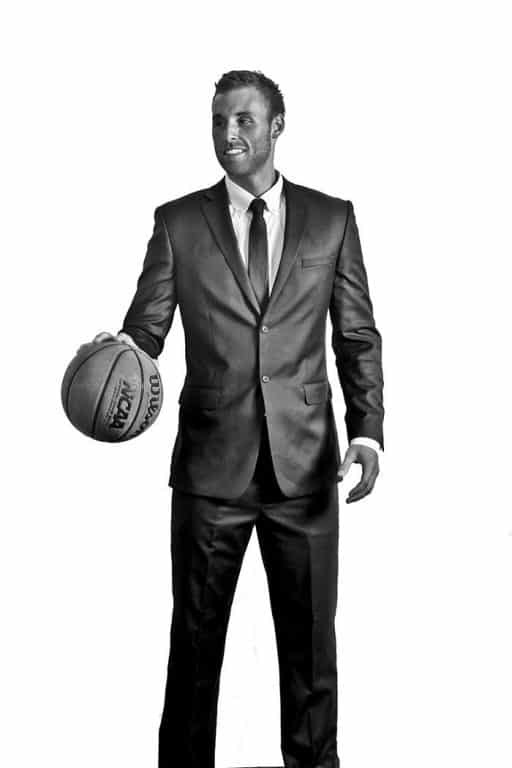 Bounce Kit is created by one of the world's best pro dunkers Jordan Kilganon. We had super high expectations for this jump program but unfortunately the quality of the content couldn't compete with the leading jump programs on the market. Jordan Kilganon does share some great information, however the program seems underdone and incomplete. Charging $77 for this program also seems way over priced considering the value you get with leading programs such as Vert Shock, T﻿he ﻿﻿﻿﻿Jump Manu﻿﻿a﻿﻿l and The Flight System. Lack of scientific referencing and justification of programmed exercises. Complexity makes it difficult to follow. Too much guesswork involved in setting load and volume of exercises. READ FULL BOUNCE KIT REVIEW NOW! After comparing the best vertical jump programs on the market it becomes apparent that two programs dominate the marketplace. If you are going to invest in a jump program you would be best served to choose either Vert Shock or The ﻿Jump Manual. Both of these programs are backed by quality science based evidence and have proven to be effective for thousands of athletes worldwide. Sure other jump programs that we reviewed have great qualities, but from what we have seen no other programs provide the same quality of content and polished presentation that these top 2 jump programs provide. The Jump Manual has dominated the vertical jump marketplace over the past decade. Over this time creator Jacob Hillers program gained mass exposure through TV, online and print media. The Jump Manual has been featured on ESPN, Sports Illustrated and Men's Health. The program has sold well over 100,000 copies with thousands of satisfied customers from all around the world leaving some very positive feedback. The Jump Manual was the only decent jump program on the market until Vert Shock was released by Adam Folker and Justind Darlington in mid 2014. Adam Folker's expertise as a certified strength trainer combined with the expertise of one of the world's best dunkers (Justin Darlington) created a formidable program that could stand beside The Jump Manual. Vert Shock provides a unique take on jump training. Unlike The Jump Manual which requires both weightlifting and plyometrics Vert Shock only requires you to undertake bodyweight based plyometric exercises. The ability to undertake an effective program without the need to go to the gym made this program an attractive option for athletes who wanted to learn how to jump higher. 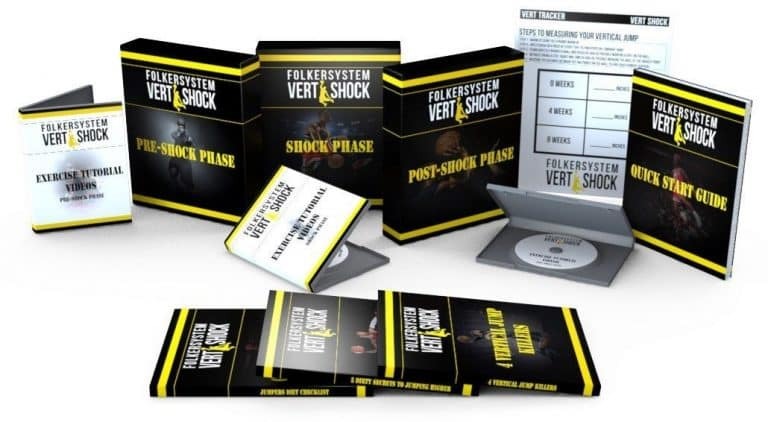 Since its inception in 2014, Vert Shock has become the fastest selling jump program and has created a huge buzz in the vertical jump marketplace. Athletes of all ages, sizes and shapes from all around the world have had amazing success after following this program for only 8 weeks. Many athletes have achieved their first dunk after completing one round of Vert Shock. >> You can check out some of these inspiration Vert Shock success stories here. So which jump program is best suited for you, Vert Shock or The Jump Manual. Let's take a closer look at both programs and compare the major features so that you can decide for yourself. The Jump Manual set the standard for a simple and intuitive jump program layout. The program is simple to follow in a liner fashion. Simply start at the top and work your way down. Many users may feel overwhelmed by the sheer quantity of content included in the Jump Manual. In fact, the program has around 15 chapters to get your head around. If you like to read you will probably enjoy The Jump Manual. If you hate to read, the jump manual is not for you. The information is very helpful however the presentation is starting to feel a little outdated and will need an upgrade soon to be able to complete with the sleek design of Vert Shock. Vert Shock is a much better choice for those of you who don't like to read and prefer to watch and learn from videos. The videos included in Vert Shock are of a very high quality production, unlike the Jump Manual which are of a very poor quality. In the Jump Manual videos Jacob Hiller simply talks into a budget webcam. This used to fly 5 years ago. but now with quality presentation of top vertical jump programs such as ﻿﻿﻿V﻿ert Shoc﻿﻿k and The Flight System I think it is time that Jacob Hiller invested in an upgrade of his videos. Sure it would be a purely cosmetic fix, as the Jump Manual content is pure gold. But an upgrade in presentation quality would make the jump manual much more engaging. 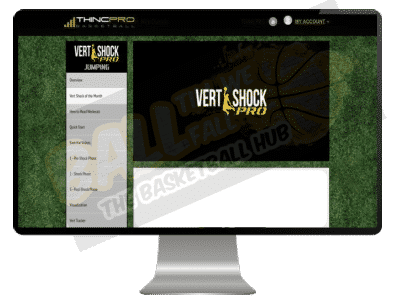 The membership portal of Vert Shock is much more professionally designed and much easier to navigate than the Jump Manual. Visual learners will appreciate the quality instructional videos included in Vert Shock. (Learn more about Vert Shock here﻿). The Jump Manual workouts are completed in 2 week cycles. The total duration of The Jump Manual is 12 weeks ( 6 cycles). However you can complete the program continuously thanks to it's innovative evolving design. Initially the jump Manual seems quite complicated but if you take the time to do the required reading you will get your head around it pretty fast. Workout One: Area of Focus=Max Explosion. These workouts consist of a range of plyometric and jumping exercises completed with added resistance. Be prepared to do exercises such as medicine ball throws and dumbbell squat jumps. Vert Shocks initial phases have a few very similar requirements however Adam Folker places more emphasis on building a strong and stable base and then slowly builds the emphasis on power development. Workout Two: Area Of Focus= Core Strength & Stability. The Jump Manual core series workouts help link the upper and lower body. Building this strong foundation of core control helps to improve kinetic chain functionality and therefore harness the potential of lower limb power development. Workout Three: Area of Focus= Max Strength. In this workout you will be required to get under the bar and throw around some heavy weights. Be prepared to squat, deadlift and lunge until you cant walk. Workout Four: Area of Focus= Active Recovery. 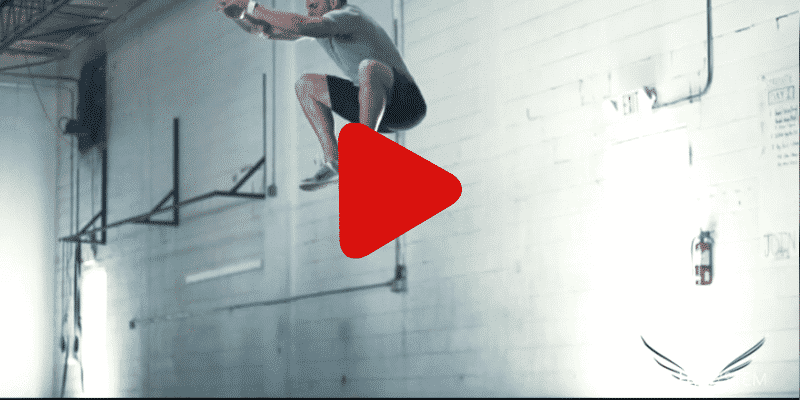 These workouts help keep your jump specific motor patterning on point while allowing your muscles, tendons and joints to recover from the strenuous work you have completed in the previous workouts. Workouts 1, 3 and 4 are set to be completed once per week while the core exercises (workout 2) is to be completed 2x per week. Jacob Hiller also recommends that you stretch on most days. Yes, The Jump Manual is very time intensive. I have spent up to 1 1/2 hrs completing the entire workout (warm up, stretches, exercises, cool-down). 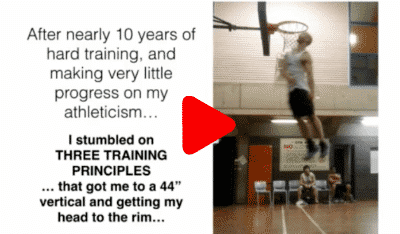 Nobody said it was going to be easy to achieve your first dunk. You will have to work hard day in day out on the Jump Manual. Vert Shock on the other hand is much less time intensive. For starters Vert Shock only takes 8 weeks to complete as opposed to the 12 week duration of The Jump Manual. Both of these programs require 5 days per week of a commitment to exercise. Perhaps one of the biggest advantages of Vert Shock over The Jump Manual is that Vert Shock only takes around 40 minutes to complete a session and can be easily completed at home. At first I thought that weightlifting was required to improve vertical jump, but after completing Vert Shock I am a believer that correctly prescribed body weight exercises can provide more than enough stimulus to generate significant gains. Novice athletes will find Vert Shock much easier to learn and perform. Exercises such as squats and deadlifts take long time to master and can lead to serious injury if performed incorrectly. ​Experience lifters will enjoy the high demands of the Jump Manual, but Vert Shock gets great results without the added injury risk and need for expensive gym equipment. Vert Shock is much easier to follow and complete. No exercise equipment is required. You can purchase Vert Shock HERE. This one was easy. Both Vert Shock and The Jump Manual are currently sold for $67. You can purchase the Jump Manual here and Vert Shock here. Both of these programs also come with a 60 day guarantee. 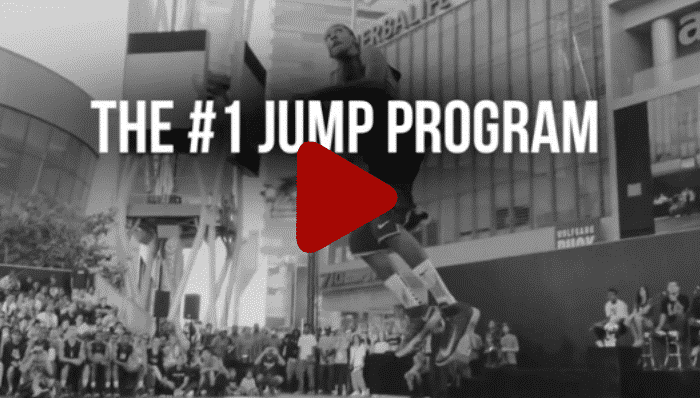 Round 4: Which Jump Program Will Help You Dunk Faster? At the end of the day both of these programs can derive excellent results that will see you gain significant inches on your vertical jump over a short period of time. However there are a few things to consider before making the final decision on which program to purchase. What you must understand is that even though both programs produce the same outcome (a higher vertical jump) they go about it in a much different way. The Jump Manual utilizes more strength based compound exercises such as Deadlift's and Squats which enhance the FORCE aspect of this equation. Vert Shock on the other hand utuilises cutting edge plyometric exercises and shock training which develops the ability to create and absorb force in addition to greatly improving the SPEED of jump related muscle contraction. Justin Darlington "Vert Shock" has developed a lean, light and springy frame with the help of body-weight only plyometric exercises. Jacob Hiller "The Jump Manual" has developed a strong and powerful frame with the help of strength & power training. As you can see, Justin Darlington carries much less muscle mass than Jacob Hiller does. It is this slight physique with super fast and reactive muscles and tendons that have allowed him to obtain a 50+ inch vertical jump and become one of the worlds greatest dunkers. 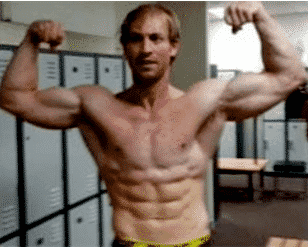 Jacob Hiller on the other hand spent years developing pure strength which he then turned into explosive power through specifically targeted weight training. The style of training used by Jacob Hiller will help you pack on some serious muscle which may be an attractive proposition for some basketball players. Just be careful to watch your diet when training with heavy weights. If you eat a caloric surplus you will gain muscle mass fast. Excess muscle mass is obviously counterproductive to your goal of jumping higher. The secret to jump training is to maximise your power to weight ratio. If you increase power but keep your weight the same you will jump higher. Simple as that! At the end of the day, Vert Shock is a more convenient option that gets faster results (8 weeks) by building the speed component of your jump. It is much much easier to develop speed of movement than it is to gain absolute strength. The Jump Manual is a great option for older athletes who have experience with heavy weight-lifting and have build a solid foundation of strength. For these athletes on cycle of the Jump Manual can boost power producing capacity of the muscles and tendons. The Jump Manual is also a great option for athletes who have bad knees and ankles. 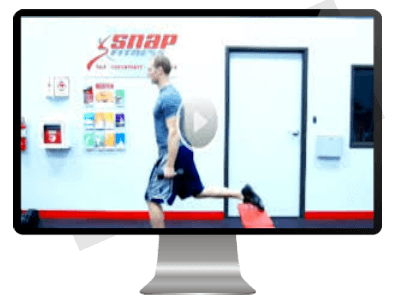 Vert Shock requires a lot of jumping from the git-go as opposed to The Jump Manual which helps establish a strength base around the knee, hip and ankle joints before moving on. Most athletes will love the Vert Shock program and the results it produces in such a short time period. It's fun to complete and easy to follow and can be done from home which is a huge advantage. Vert Shock now also comes with an option to purchase an add-on weight training component. Learn about this in our huge Vert Shock review. When considering this option it is beginning to look like The Jump Manual's reign as the best vertical jump program for basketball players is about to come to an end. 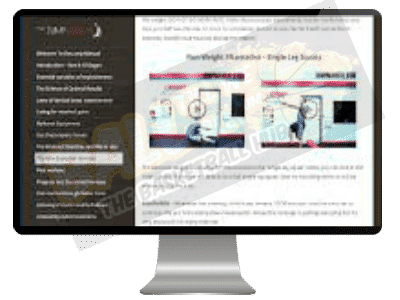 We hope you found our comparison and reviews of the best vertical jump programs for basketball players helpful in allowing you to make an informed decision. If you have any questions or comments relating to any of these jump programs please don't hesitate to leave your thoughts below. Note: Swipe right to if viewing on mobile!